10 Frightfully Halloween Decorations To Scare Up Some Fun! There is just something about fall that really speaks to me. While I do love the summer, I really don’t mind when fall is knocking at the door. It’s my favorite time of year on our farm too. It’s the combination of the delicious fall produce, the beautiful hues of yellow, orange and green and the fall and Halloween decorations that really catch my fancy. Halloween is such a fun holiday. It’s the time of year when you can dress up as your favorite character, no matter how old, and not worry one lick about what people think. It’s also that time of year that you can dress up your house too. Each year, I like to add to my fall / Halloween decor. Before you break out those boxes of decorations, check out these 10 Frightfully Cute Halloween Decorations To Scare Up Some Fun. 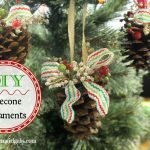 Witch Hat & Broom Ornament Wreath is perfect to hang on your front door. Happy Halloween Chalkboard Wall Art is a great way to welcome guests to your next Halloween soiree. Give your Halloween decorating scheme an extra hand with a shiny Skeleton Hand Serving Bowl. 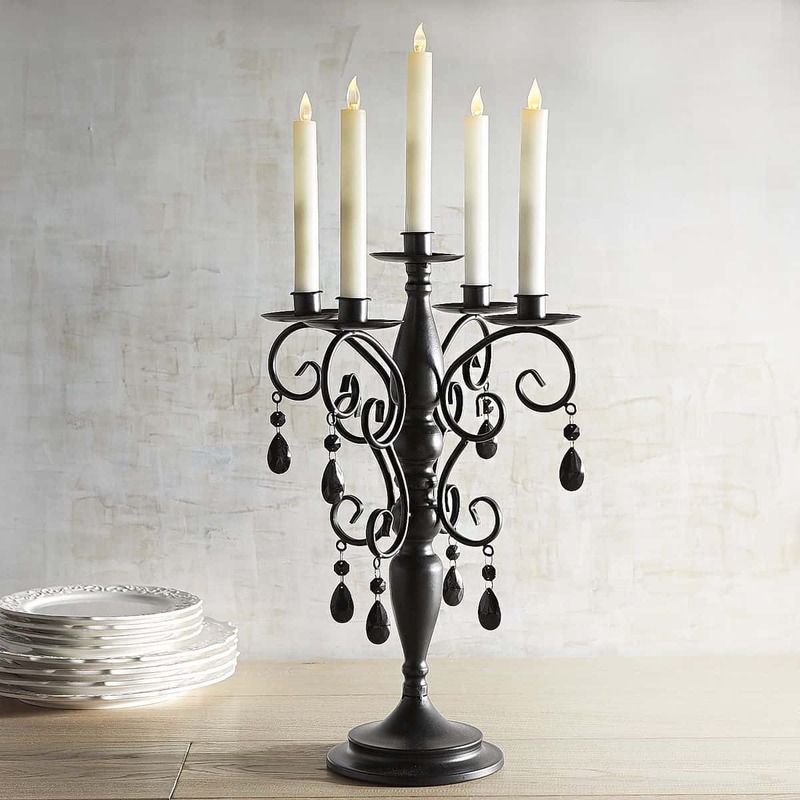 Bring a sense of dark elegance to your space with a Jewel Candelabra Taper Holder. 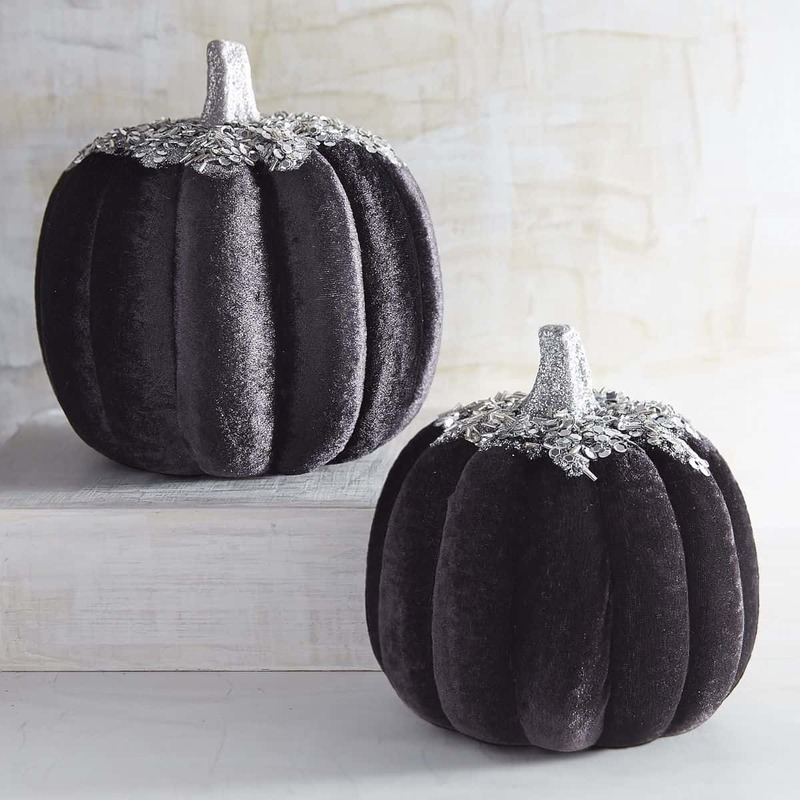 Sequined Velvet Pumpkins are a Halloween must-have. 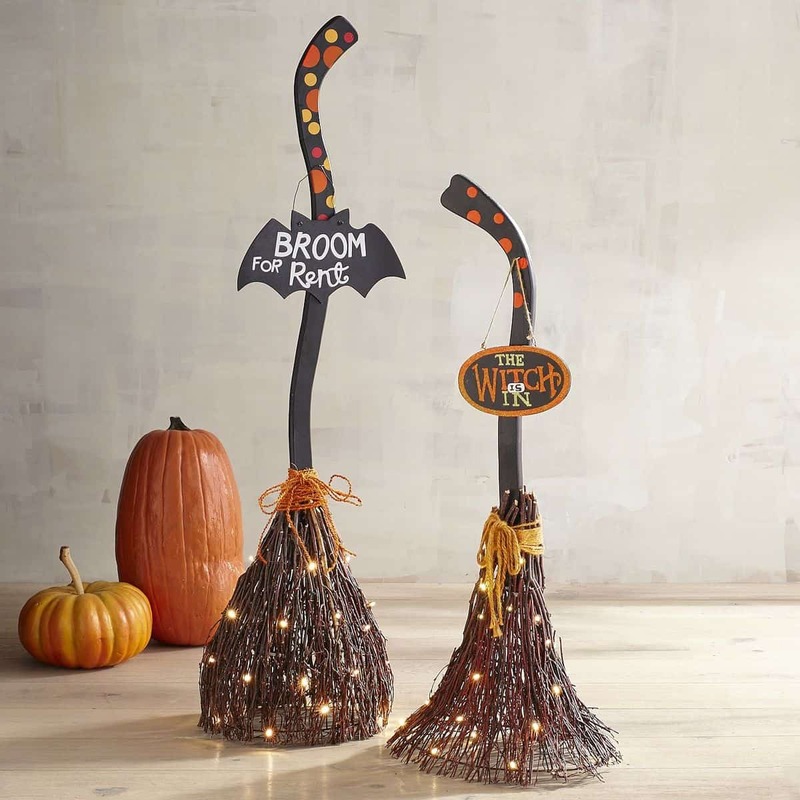 Pre-Lit Witches Brooms are sure to cast a bewitching spell upon your Halloween festivities. Place it inside the front door to greet your bravest guests. Use this Shimmery Witch Hat as a spellbinding centerpiece, or hang it from the mantel so it looks like someone may have forgotten something. Ghost 10′ Glimmer Strings® will add a spooky glow to your home. Drape this bewitching Magic & Mischief Mantel Scarf over your mantel. Top with your most ghoulish pieces and, abracadabra, you’ve got spooktacular beauty. How do you plan to decorate for Halloween this year? 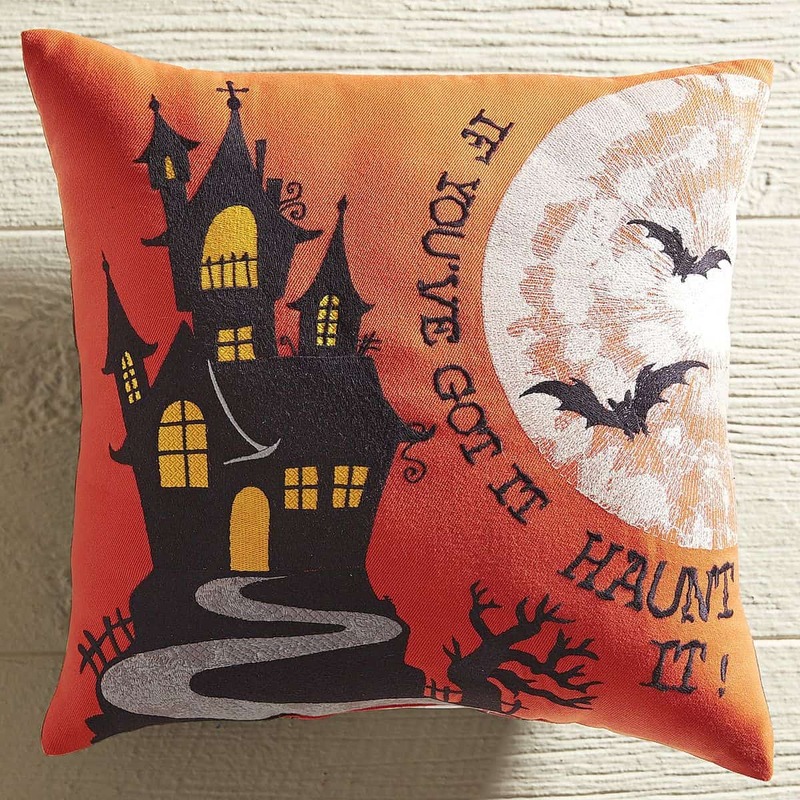 Do you go with a theme or just a hodge podge of spooktacular Halloween decor?